"We're still in the first couple weeks, and we're trying to get as many units into market as possible," he said. "We're going to give it some time, but overall those numbers have been to forecast. "If you look at the word-of-mouth factor, it's really strong because people are bringing it home and really enjoying it," he added. "That satisfaction rate is really high. But also in terms of when we funnel in additional hardware units, that'll dictate how many sales there are and how many sell through." "One of the things we have learnt over a long period of time, is that whether it is PS1, PS2, PSP or PS3, it is dangerous to the point of impossible to take any experience from the Japanese market and try and extrapolate it, and propose upon what will happen in Europe or North America," he said. "Not withstanding the fact that it is just way too early to make any conclusions. The markets are now just so different, I actually think they are diverging to a greater extent than they were different in the past - if that's even possible. 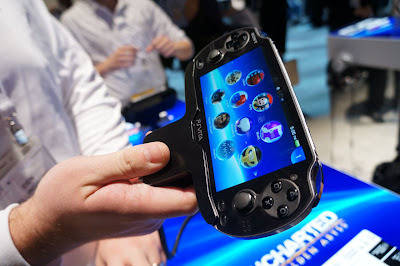 Will the PS Vita sell good in US and EU? Or will it suffer from a bad launch? Or will sales pick up around summertime? And what game can save the PS Vita from becoming a flop? Let us know in the comments below!